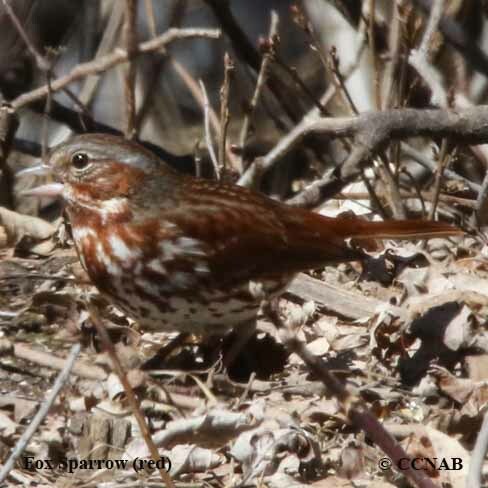 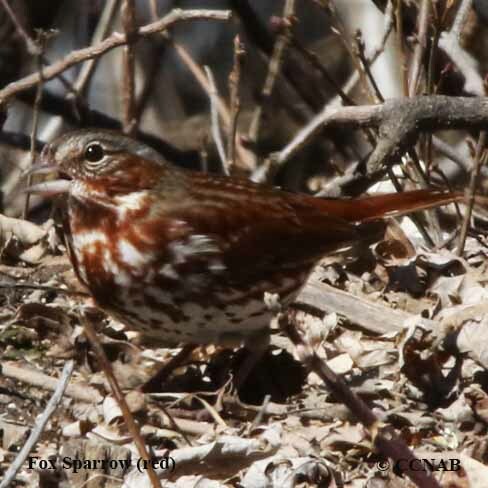 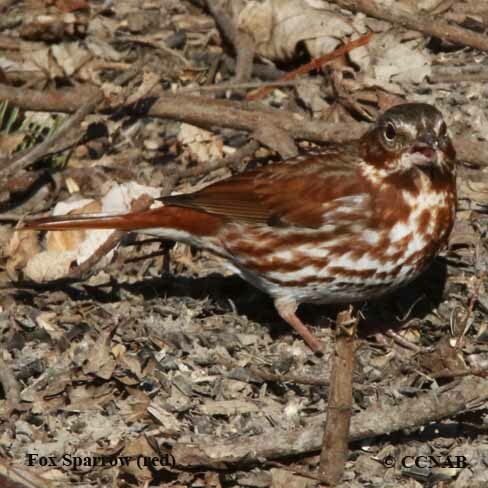 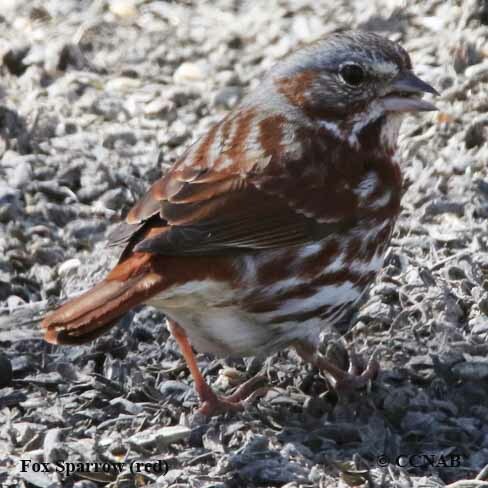 The Fox Sparrow (red) has bright rufous colours and lives in the undergrowths of the northern forest. 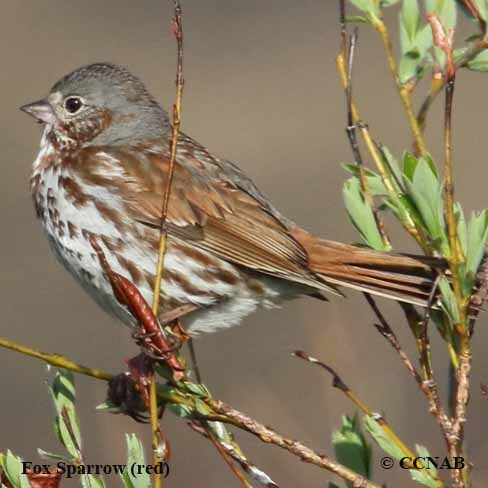 In the nesting season, this sub-species is seen from the northern areas of Alaska, right across Canada into Newfoundland and Labrador. 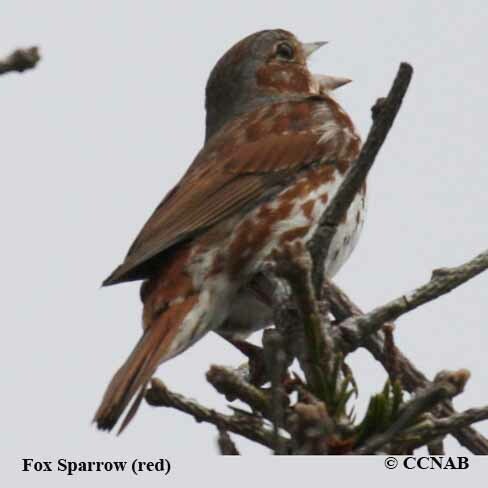 During the spring months, this bird can be seen and heard singing from the tree tops of conifers.